Note: This activity is done after I have taught healthy vs unhealthy relationship characteristics, abuse types and the cycle of abuse information. Assign students the poem “A Twisted Love Poem” Guided Annotations & Question to read and complete Discuss when they are finished. Pass out the Teen Girl Coloring Page (found below) and have students color her and then cut her out. I set the stage by explaining that she’s just a normal, healthy teen girl who is about to embark in a dating relationship. We talk about how she might feel. I also have students think about how she might feel if this is her first dating relationship. Would there be any differences? I tell my students that I’m going to read the poem they just annotated aloud and every time something unhealthy is mentioned, they are to “tear off” a piece of the teen girl. At the end of the poem we talk about what’s left of the teen girl. Based on the poem, what is the important takeaway message? Answers will vary, but…If this young lady would have taken her own advice when the abuse initially began, she may the extreme consequences. Also, the longer you’re in an abusive relationship, the more damage and hurt you may suffer. Now, instruct students to put (tape) the young lady back together. Again, discuss what you see? (scars, residual effects, etc.) What is the important takeaway message now? Answers will vary, but it’ll take TIME to heal from the damage/abuse of the relationship. Even though you may “love” again and be in other relationships, you and your heart may never be the same as it once was. 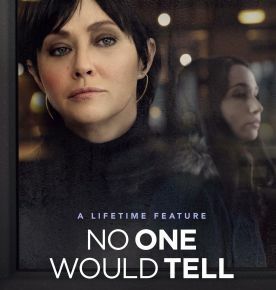 Optional Movie Assignment: For years I showed the Lifetime Movie “No One Would Tell” to my students as a case study because it was based on a true story and it was a great way for my students to apply all of the information they were learning in the unit. I was super excited to find that Lifetime recently remade and updated this movie and found I could buy the movie on Amazon pretty inexpensively! Needless to say, I quickly created an updated set of questions to go along with it.